The New York Giants’ 2018 season officially starts on Monday with involuntary training camp. 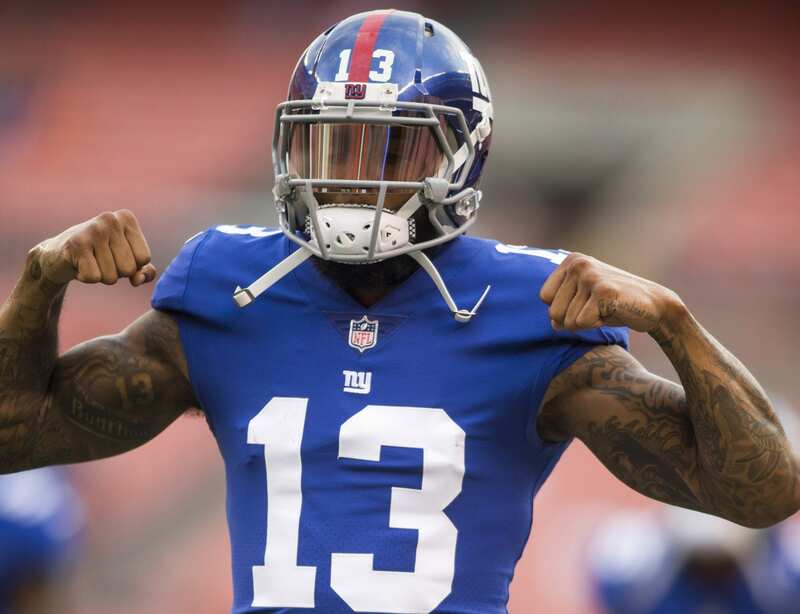 Star receiver Odell Beckham Jr. has decided to attend this year’s mini-camp, showing his dedication and excitement for the upcoming season. Last year, Beckham Jr. spent the offseason training in California with other athletes and friends, leaving the youngsters on the team to practice in New York without him. The generational talent is waiting on a mega-contract from the Giants, and showing his ‘want’ to spend time with the team will aid him in his quest for the ‘big money’. After speculative videos emerged showing OBJ with a supposed smoking ‘device’ and white powder, his social image took a hit. This is his first attempt at righting the wrongs of his past actions. Last season, Beckham was asked if he would hold out to force the Giants to pay him the money he’s worth. “I don’t have time [to hold out],” said Beckham. “I’m 24 years old. I’m trying to play football until I can’t play football anymore. I can’t get caught up taking days and not playing. The star receiver is smart to avoid any conflict with the organization and new regime, as getting off on the right foot will earn him his money in due time. The Giants have the No. 2 overall pick in the upcoming draft and are set to begin a short-term rebuild that will set Beckham Jr. up with a winning team in no-time (hopefully).